Star Bazaar opens at South Mumbai with a focus on fresh food. Spread over 7500sq.ft area, the supermarket has everything to shop across multiple product categories with modern fixtures and amenities. 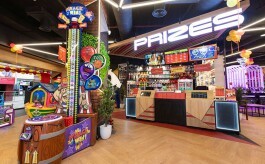 Star Bazaar, a unit of Trent Hypermarket Pvt. Ltd has launched its sixth store in the southernmost precinct of Mumbai. Spread over 7500 sq. ft., the store will serve as a convenient shopping destination for the residents of South Mumbai. To enable a seamless shopping environment, the store has been designed with modern fixtures and amenities. The range offered by the multi format retail chain has been carefully selected to meet the everyday needs of the catchment with an aim to provide a superlative shopping experience with high quality products at great value. It offers customers a wide range of fresh fruits, vegetables, exotic produce, groceries & daily essentials, cheese, bakery products and a lot more. The store has a dedicated section of fresh meat, fish and cold cuts and positioned well to provide a modern shopping environment for customers with a focus on efficient customer services and convenience. 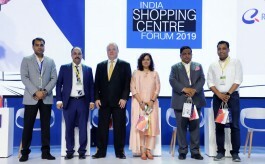 On the store inauguration, Noel Tata, Chairman Trent Ltd, Sanjiv Mehta, CEO and Managing Director, Hindustan Unilever Limited and Jamshed Daboo, Managing Director Trent Hypermarket Limited were present. Star Bazaar is a joint venture between Tata and Tesco Enterprise a Tata-Tesco enterprise. Currently the grocery retail chain Star operates stores across Mumbai, Pune, Hyderabad Bengaluru and Kolhapur.